Sew-In at the Lane Public Library in Fairfield. Bring a sack lunch or there are plenty of fast food restaurants close by. The library is in the Village Green area of Fairfield - there's a park, Community Arts Center and a shopping area. The library sits next to the park - but come in the back entrance as the Community Room is on the other side of the building. Click here for map. This map is a tad misleading - the library is NOT next to Kroger. It's over by the CAC. Call 858-3238 if you have trouble finding it! Hello Everyone! Andie here. We're organizing a dinner for our December meeting at a restaurant in the Kenwood/Hyde Park area. We need an idea of who's coming, so if you haven't RSVP'd yet - do it right now! Email me - andiejohnsonsews (@) gmail.com - and let me know if you're coming! Location to be announced in the next few days. My apologies on taking forever and a day to get this blog post up! I hope all of those who were able to attend our October meeting had a great time; if you didn't come . . . be there in November! So, first off, a big thanks to Amy for hosting our meeting. We'll be back at Sue's, though, for the November meeting. 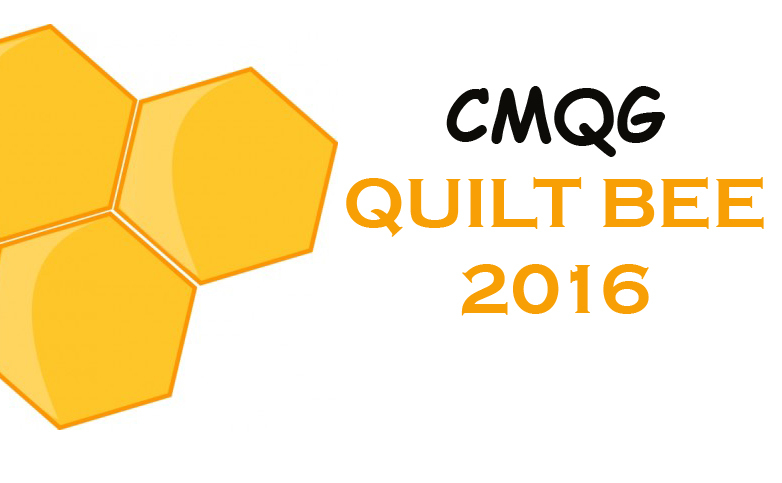 If you need directions or more info, email Heather at cincinnatimodernquiltguild@gmail.com. Next, WELCOME to all of our new members: Jean, Lynn, Janie, Kara and Jess. See you next month, right? 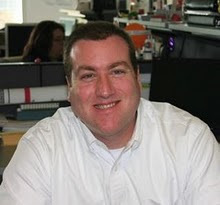 We discussed getting the CMQG involved in some charity projects, perhaps with Cincinnati Children's Hospital. If you have any info in how we can get involved, or would like to help motivate that effort, please email Heather or let us know at the next meeting. OCTOBER QUILT SWAP: We had a great time swapping doll quilts—I'm sure we'll do a second doll quilt swap soon, so if you didn't get to participate last month, don't despair! NEXT MONTH'S SWAP (November), we'll be doing another direct swap (Secret Santa style) of a set of 4 quilted coasters. They can be any colors/fabrics, etc. These are super-fast, very cute, good for using up scraps and GREAT for practicing new quilt techniques. Check out this great tutorial for directions: Coasters tutorial from Flossieteacakes. DECEMBER SWAP: So, we're also planning ahead for the December Swap. At our December meeting, we'll be swapping Mug Rugs - small quilted placemats big enough to hold your coffee/tea mug and a snack! IMPORTANT: If you'd like to participate in the December swap, please bring a mug to the NOVEMBER meeting; we'll trade mugs at that meeting and our swap partners will make our Mug Rug to coordinate with the mug we brought in. If you'd like to participate, but can't make the November meeting, email Heather or leave a note on this blog or facebook, and we'll work something out. SHOW AND TELL: We had a GREAT show and tell this month! Lots of talented members in the CMQG. Here are a few of the highlights - thanks for sharing, ladies, and keep 'em coming! APPLIQUE TUTORIAL: Heather gave a great tutorial on raw-edge applique, like what she does for her gorgeous children's clothing at her site, Olive and Ollie. Thanks, Heather! I suspect we'll be seeing a lot of appliqued items at upcoming meetings! Don't forget, bring your 4 quilted coasters to swap, and a mug to trade for December's swap (read more above). I'll be teaching a short tutorial on paper piecing, which will most likely be completely riveting. Don't miss it. Have a great month, Happy Halloween, and we'll see you in November. Check the facebook page (CMQG Facebook) frequently for new items of interest and for changes to anything you see here. Well, to start with, a BIG welcome to all of our new members! We're so happy you could come, and we insist that you come back next month (and bring your quilt-lovin' friends). Welcome, welcome! Make sure to check out our members' blogs (listed on the right). If you're a member and have a blog, let us know so we can add it. To start the meeting off, Amy T. taught a really great mini-class about making book-shelf inspired placemats. After amazing show and tell (and I didn't even put all the pictures up) it was time for our potholder swap! All so different, but each one was wonderful! I think everyone left very happy—I know I did! After and during all of the above, there was lots of laughing, tip sharing, tweeting, pretzel eating and wine drinking! You should probably come to the next meeting. I'm just sayin'. A FEW THINGS TO NOTE!!!!!!!!!!! There is some fun stuff coming up, so take note! 1. Our next meeting will be October 13 at 7pm. Be there. 3. At the October 13th meeting we will be swapping . . . . DOLL QUILTS! The only parameter is that the quilt needs to be between 12 and 24 inches. It can be rectangular or square, but no side smaller than 12 inches or larger than 24 inches. This is going to be super-fun, and a really great way to experiment and showcase who you are as a quilter. Just have fun!!!!!!! We'll swap "Secret Santa" style at random. 4. At the October 13th meeting, Heather will be teaching a lesson on appliqué! This one you won't want to miss. Have a great September, and we'll see you at the October meeting! 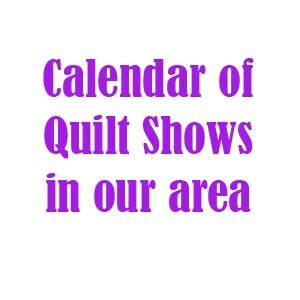 July meeting: wonky quilt blocks, strip twist demo, and homemade pretzels from scratch! The Cincinnati Modern Quilt Guild held it's July meeting on the evening of the 14th. We met again at the home of one of our awesome members, Sue, who is such a gracious host. Her husband even made us homemade soft pretzels--from scratch--which were to die for. We're a pretty lucky group of quilters here in the Queen City. Kelly again did a great job of organizing our block swap this month. Our theme was wonky quit blocks, using blues and aquas, with a punch of color in the center. We used Quilt Dad's tutorial, which is seriously the best out there, in my humble opinion. It was the first time for some of our members to make blocks in that style, and everyone's blocks turned out so well. There was such an interesting range of designs, even though all the blocks were made with the same parameters. Andie demonstrated the Strip Twist pattern, complete with the blessing of Bonnie from Quiltville. I think we were all amazed at how quickly the blocks came together, and how they looked much more complicated than they actually were. Andie's choice of fabrics were gorgeous, as well. A portion of our meeting was also devoted to show and tell, as it is every month. Kelly showed us a beautiful quilt top that she completed while she was a touring stage manager. Can you imagine sewing this in a hotel room? I shared a quilt top that I just made. One of these days it will be finished! 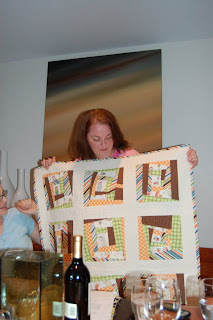 Gillian also shared two adorable baby quilts. I wish I would have gotten pictures of those! Our next meeting will be on August 11th at 7:00 pm, again at Sue's house. We hope you can all come! Amy will be demonstrating her pattern for scrappy place mats. We're also going to be participating in either another block swap, or perhaps a modern potholder swap. More details to come, but in the meantime feel free to RSVP to cincinnatimodernquiltguild@gmail.com if you will be there! Just a quick reminder that our next meeting will be held on Wednesday July 14th at 6:30, at the home of one of our members. Sue has again graciously offered to host our meeting this month at her home in Wyoming. Please RSVP by July 11th via email to cincinnatimodernquiltguild@gmail.com or to me directly at olive_and_ollie@yahoo.com. I'm looking forward to seeing you there!